Gracing many a traveler’s bucket list, the lofty aspiration of crossing a country on foot is a tempting challenge for the adventurous. 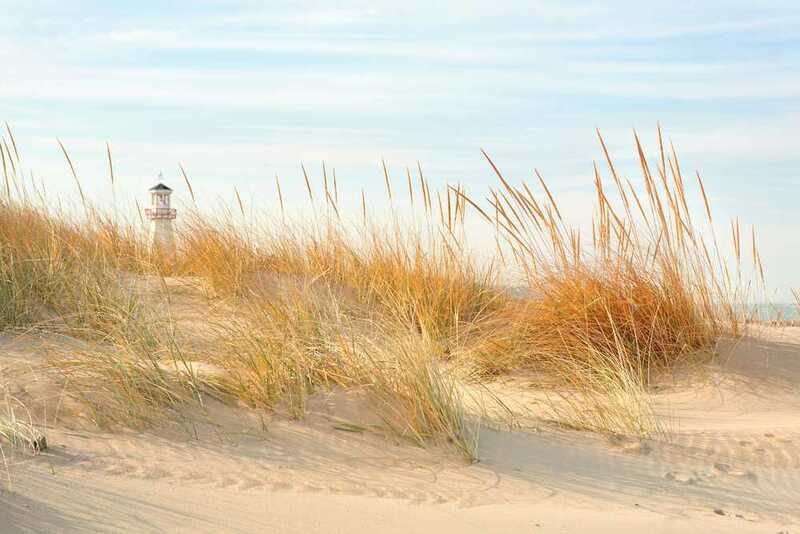 Whether strolling the mere 0.2 square miles of Rome’s Vatican City, officially the world’s smallest country, or plodding the epic lengths of America, there’s a cross-country hike to suit all commitment levels. 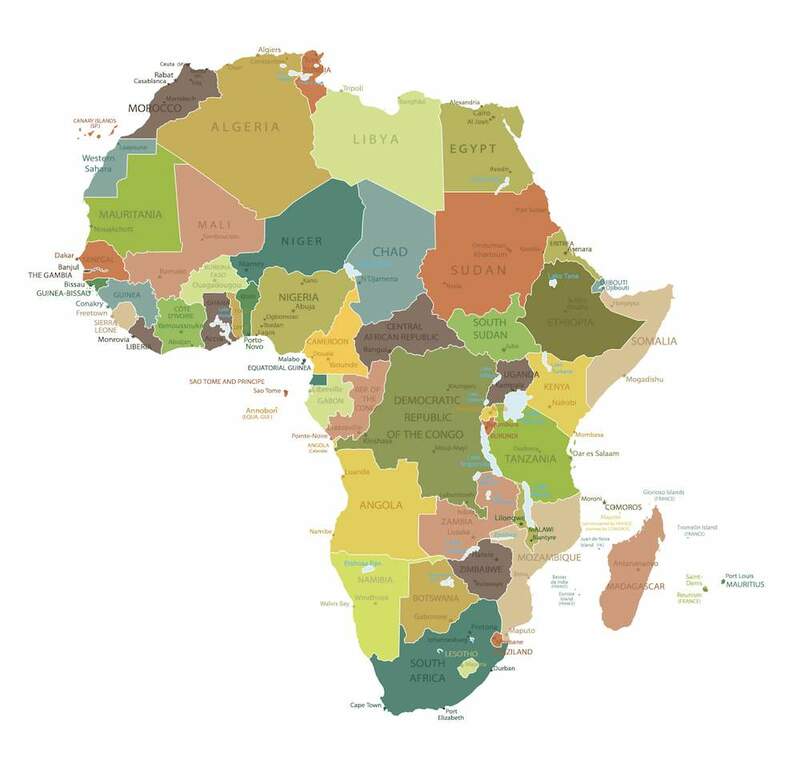 For those with little time to spare and many miles to march, here are ten countries where traversing from border to border won’t take you an eternity. A speck of a country nestled in the Pyrenees mountains with its borders sandwiched between France and Spain, Andorra encompasses a mere 180 square miles – about half the size of New York. A mostly mountainous state, Andorra’s scenery reaches an elevation of 3000m above sea level and packs in a good variety of vistas from forested enclaves, craggy mountain pathways and pictorial medieval villages. A sidetrack through the Coma Pedrosa Natural Park, surrounding the peak of Coma Pedrosa – the country’s highest mountain – is also worth a visit, offering a vast flora and fauna preservation area. Hikers can choose from a number of routes – the French GR11 and GR7 long distance trails both cross through the country and Andorra has its own GRP1 route which loops almost the whole country and is dotted with mountain huts for campers. Plan a few days for a leisurely pace. 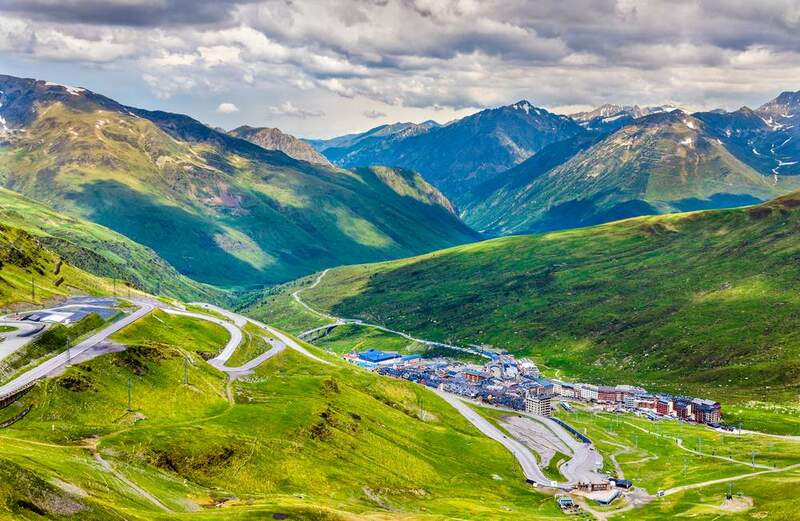 >> Should indie travelers visit Andorra? Long renowned as one of the world’s great hikes, the Wainwright coast-to-coast trail spans some 190 miles from the Irish Sea in Cumbria to the North Yorkshire moors. 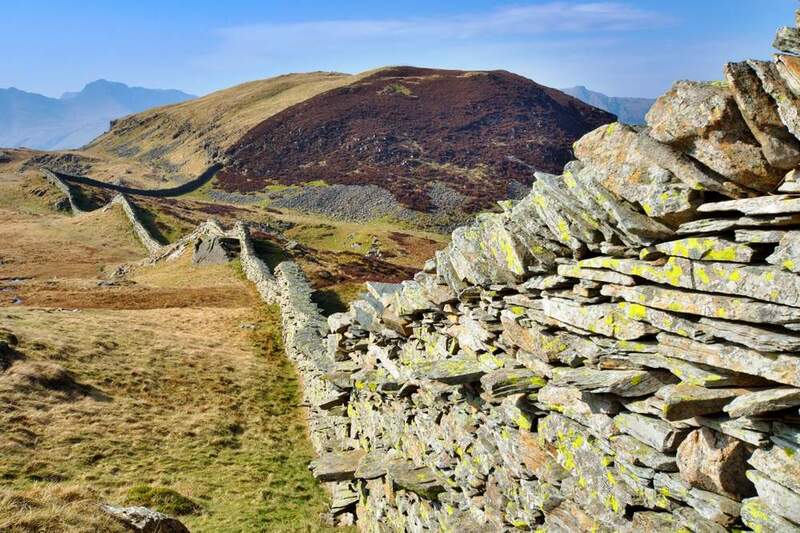 Pioneered by famed author Alfred Wainwright, the trail is just one of England’s extensive network of walking trails running the length and breadth of the country. Hiking the trail takes between 10 to 14 days, crossing through three National parks – the famous Lake District, the green valleys of the Yorkshire Dales, and the pink and purple heather of the North Yorkshire Moors. A challenging yet manageable trail, the route traverses some steep climbs and requires considerable map and compass skills (despite the route’s popularity, its lack of status as a National Trail means waymarking is not always up to standard) plus clothing suitable for the notoriously changeable British weather (14 days without a drop of rain is highly unlikely). The Rambler’s – a British non-profit devoted to the country’s hiking trails – offers some excellent advice and information on the route, but less experienced hikers might be better off seeking a guide. 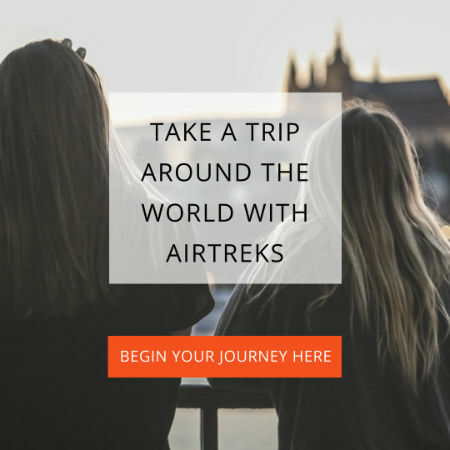 Wayfarers, Contours Walking Holidays and Let’s Go Walking all offer guided coast-to-coast trips with options to split the route up into shorter segmented hikes. 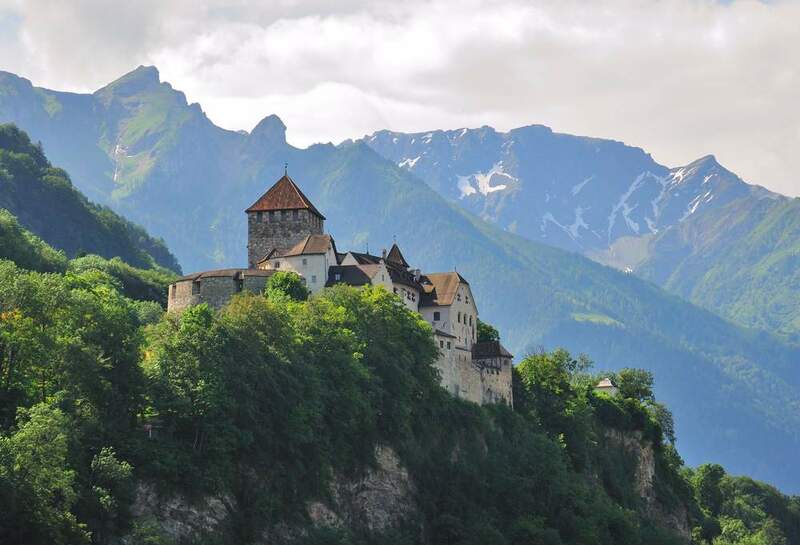 Ranking as the sixth smallest country in the world, the microstate of Liechtenstein encompasses 62 square miles of Alpine terrain between Switzerland and Austria. The community run Liechtenstein Alpine Association (LAA) maintains the country’s footpaths – over 400km of walking trails that take in old pilgrim routes, the forested northlands, and steep alpine climbs peppered with wildflowers. A walk across the width of the country clocks in at little more than a couple of hours at one of the narrowest points. Start from Buchs, Switzerland and follow the lowland laneways all the way through to the Austrian border at Feldkirch – approximately an 8-mile hike. Grab a copy of the free pamphlet “Wanderung für Familien und Geniesser,” detailing popular trails from Liechtenstein Tourism. 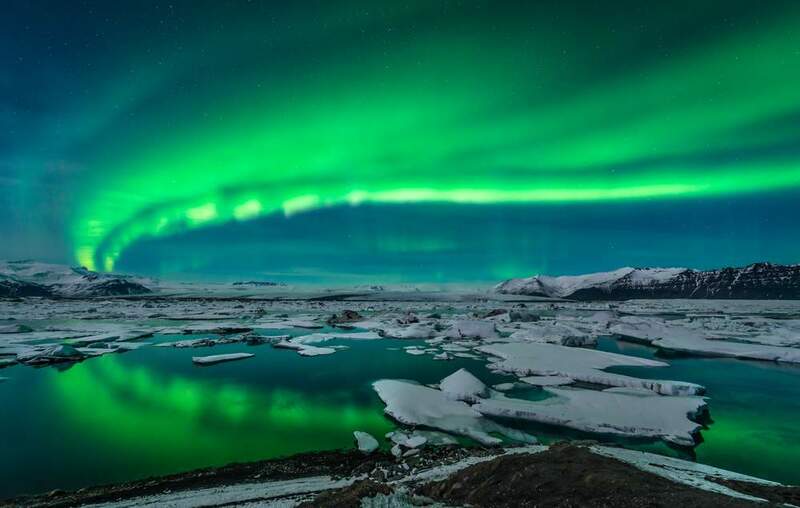 From the understated cool of Reykjavik in the South to the northern tip of Raufarhöfn, crossing the land of fire and ice on foot is a feat best left to the adventurous. Weaving through steaming lava fields, scaling ashen volcanic landscapes, and soothing your road-weary muscles at a geothermic pool – Iceland may offer up some unique geography, but hikers should be prepared to face the elements. Weather can be wet and windy, maps less than reliable, and midge flies a nuisance in parts. The Icelandic Touring Association offers details of Iceland’s most popular hiking trails and mountain huts for those attempting backcountry routes, but these will need to be linked up by some cross-country travel. Fuel your wanderlust by reading Ted Edward’s A Solo Walk Across the Iceland or scour travel blogs for potential routes – Phlumf details the author’s 3-week cross-country Icelandic trek with excellent maps, tips, and advice for other DIY travelers. For a more manageable route that takes in a good deal of the sights, Butterfield & Robinson offers a 7-day guided trek that loops the western border. The French walking network is one of the world’s best with color-coded trails spanning some 110,000 miles of GR (Long distance national paths) and GRP (provincial walks) routes that connect just about every village and town. With many walkways crossing through private land, whichever cross-country route you choose will likely be tempered with undulating hillsides, forested footpaths, and of course, vast vineyards. A Walker’s Discovery of France is a site that chronicles a journey walking around the circumference of France. Lonely Planet’s Walking in France guidebook is another useful resource, although mostly focused on 2 or 3-day cross-country walks. 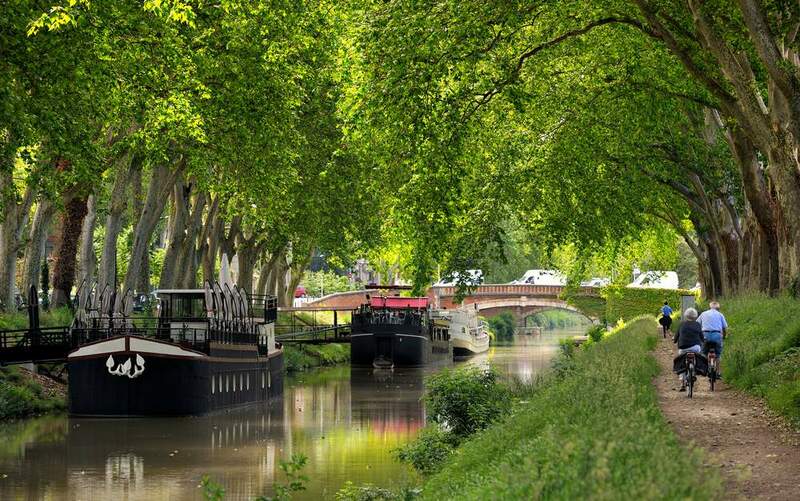 >> Check out some of the most unique walking paths in the world and read our indie travel tips for France. Scotland is somewhat legendary amongst hikers with an extensive network of trails to challenge the most ardent explorer and the kind of scenery that seems lifted from a novel – sweeping glens, wild moorlands, rocky coves, and deserted, windswept beaches. Famed long distance paths like the West Highland Way are popular for good reason, but a coast-to-coast route is a great way to get off the beaten track and discover the rough and remote expanses that make Scotland so renowned. 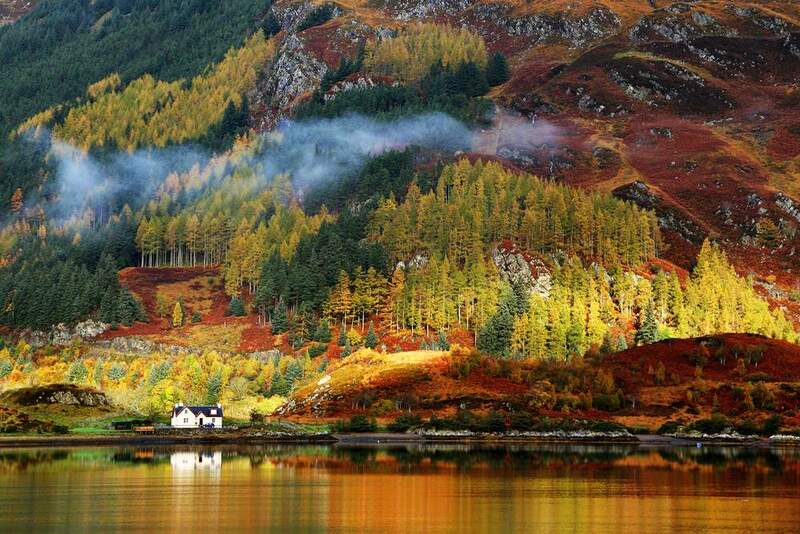 Trekking coast to coast from Fort William on the West coast to Perth on the East coast takes around 10 days, crossing through woodland gorges, the Tay river (famed for it’s salmon fishing), the ancient Black Wood of Rannoch, and many fascinating, yet little-known historical sites. Transcotland offers a number of self-guided trips for hikers needing a little guidance including the coast to coast walk, or DIY hikers can head to Visit Scotland for an encyclopedia of information on walking routes, tour operators, maps and trail advice. 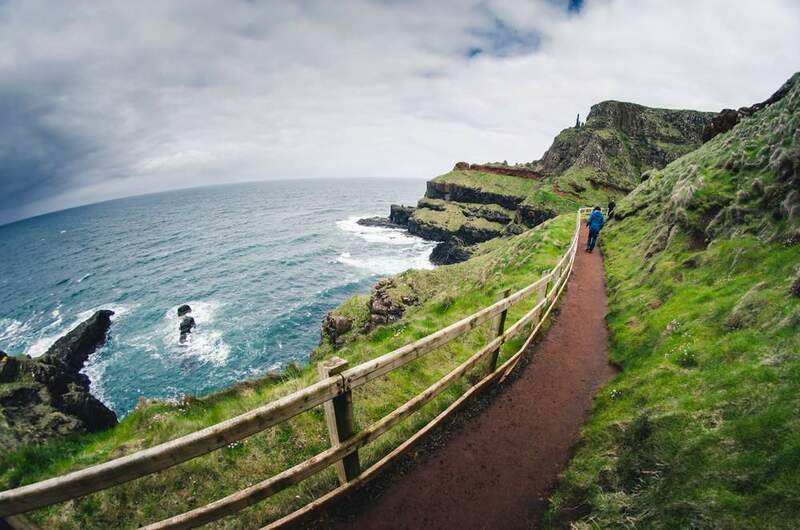 If you can drag yourself away from the pub long enough to tackle the Irish countryside – a less than easy feat in the Guinness-fueled capital – Dublin makes a perfect starting point for a coast-to-coast hike. 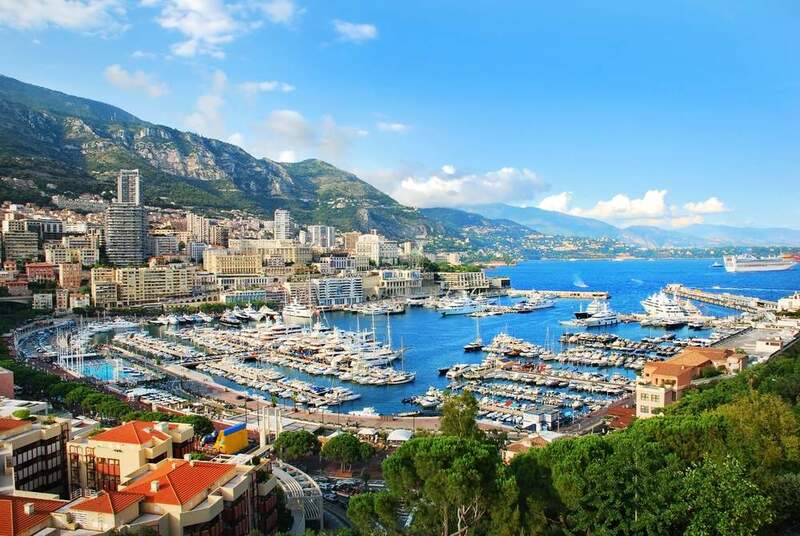 At 0.7 square miles, Monaco offers easily attainable bragging rights for those looking to cross an entire country in less than a day. A tiny state along the French Riviera, Monaco’s diminutive landmass stretches along the French Mediterranean coast and climbs uphill towards the French border. With little room for getting lost, the best way to cross Monaco is simply to start wandering – explore the cathedrals hidden down the old town alleyways; visit the local markets at La Condamine and take a coffee break along the harbor. The more adventurous can add a little altitude by hiking over the French border and up to the cloud-swamped Peillon, a medieval town just north of Nice. Check out Monaco’s tourist board website for more information as well as the option to book on one of several guided hikes. The Te Araroa walkway spans the entire length of both islands. It may be a little ambitious for most, estimated at around 95 days of walking, but there are also simple coast to coast walks as more manageable options. 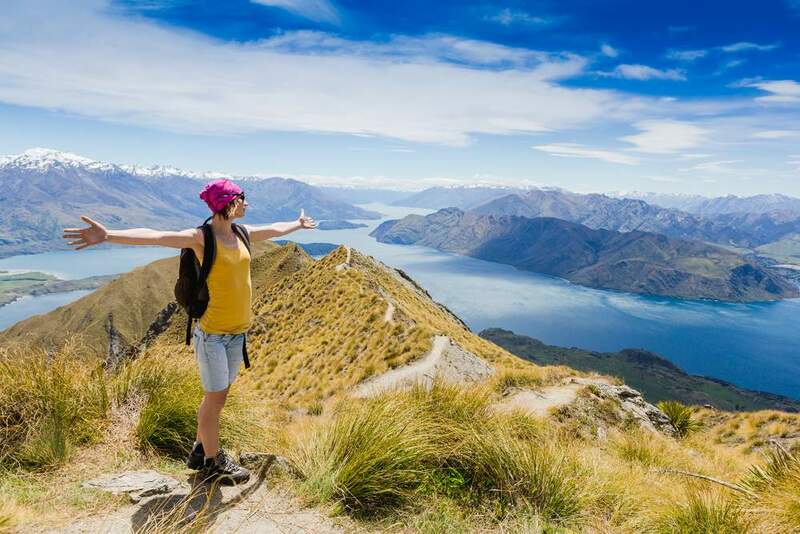 Hiking, or “tramping” as it’s colloquially known, is a national pastime in New Zealand, with walking trails and camping huts springing up just about everywhere. 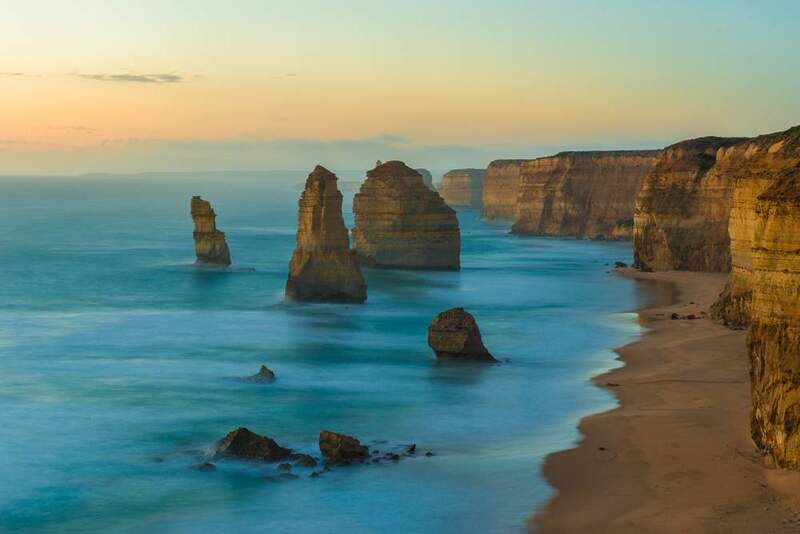 Wander stretches of deserted coastline, tackle the glacial landscapes in the South, or gawp at the diverse wildlife preserved in the country’s many national parks. To put a route together, visit New Zealand Tramper for thorough, up-to-date information on waymarked trails, trekking routes, and maps. Those with a competitive spirit (and a higher than average fitness level) might consider taking part in the country’s annual Coast to Coast multi-sport race, crossing the width of the South Island. If you don’t want to take part in the actual race, you can at least follow the route in your own time. 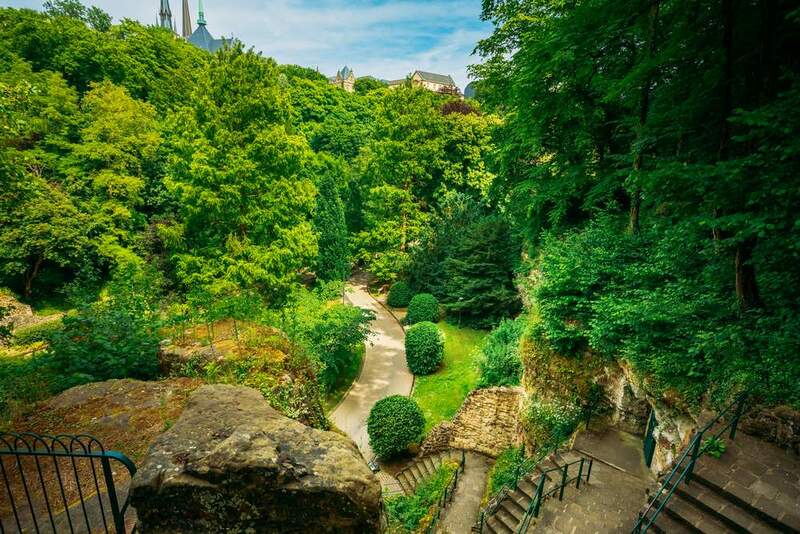 All too often-overlooked as a destination, Luxembourg compresses a good deal into a small space – medieval castles (the wonderfully restored castle at Vianden is a popular tourist haunt), winding rivers, and a plethora of WWII battle sites and monuments add intrigue to the bucolic panoramas of stone-walled farmyards and sprawling vineyards. For those looking to go the distance, the cross-continental GR-5 hiking trail runs 130 miles through the country, taking around nine days. Running from Trois Fontihres (Three Borders), the meeting point of Belgium, Luxembourg, and Germany, the route winds along the German border, through the Our and Moselle river valleys, and ends at the French border in the South. Check out the GORP site for more in depth information about this walk. >> Is Luxembourg a good indie travel destination?